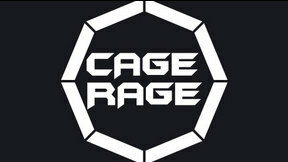 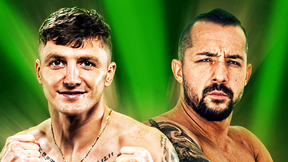 Cage Rage 18: Battleground full event replay from September 30, 2006 in London, United Kingdom. 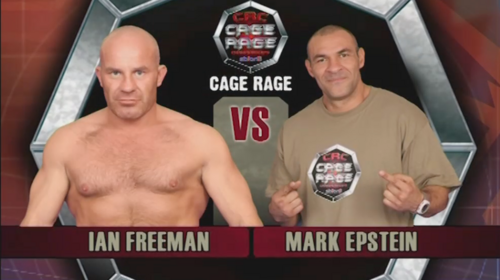 Ian Freeman vs Mark Epstein Cage Rage 18 Sat, Sep 30, 2006 (25:31) Ian Freeman vs Mark Epstein Cage Rage 18 from September 30, 2006 in London, United Kingdom. 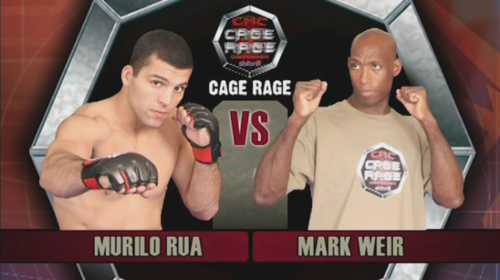 Murilo Rua vs Mark Weir Cage Rage 18 Sat, Sep 30, 2006 (16:15) Murilo Rua vs Mark Weir Cage Rage 18 from September 30, 2006 in London, United Kingdom. 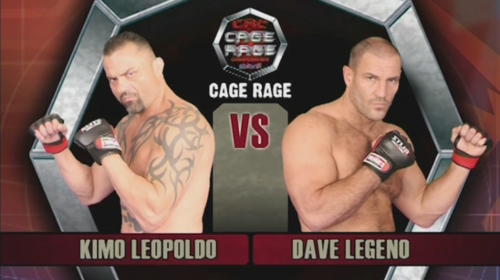 Dave Legeno vs Kimo Leopoldo Cage Rage 18 Sat, Sep 30, 2006 (11:37) Dave Legeno vs Kimo Leopoldo Cage Rage 18 from September 30, 2006 in London, United Kingdom. 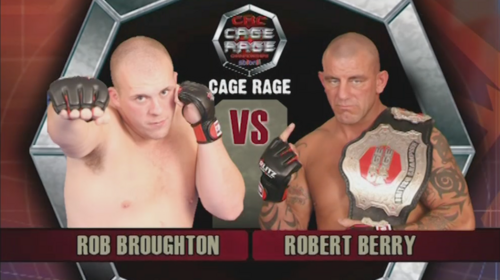 Rob Broughton vs Robert Berry Cage Rage 18 Sat, Sep 30, 2006 (11:01) Rob Broughton vs Robert Berry Cage Rage 18 from September 30, 2006 in London, United Kingdom. 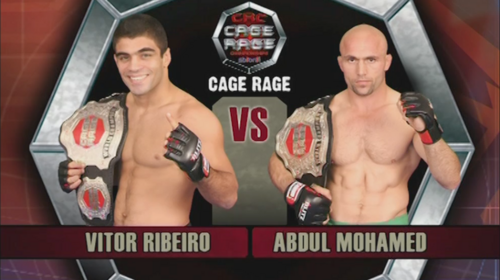 Vitor Ribeiro vs Abdul Mohamed Cage Rage 18 Sat, Sep 30, 2006 (10:43) Vitor Ribeiro vs Abdul Mohamed Cage Rage 18 from September 30, 2006 in London, United Kingdom. 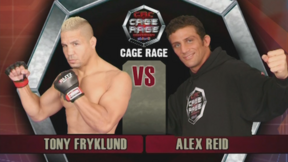 Tony Fryklund vs Alex Reid Cage Rage 18 Sat, Sep 30, 2006 (9:33) Tony Fryklund vs Alex Reid Cage Rage 18 from September 30, 2006 in London, United Kingdom. 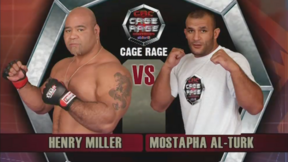 Mostapha Al-Turk vs Henry Miller Cage Rage 18 Sat, Sep 30, 2006 (7:12) Mostapha Al-Turk vs Henry Miller Cage Rage 18 from September 30, 2006 in London, United Kingdom. 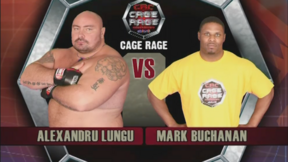 Alexandru Lungu vs Mark Buchanan Cage Rage 18 Sat, Sep 30, 2006 (7:25) Alexandru Lungu vs Mark Buchanan Cage Rage 18 from September 30, 2006 in London, United Kingdom. 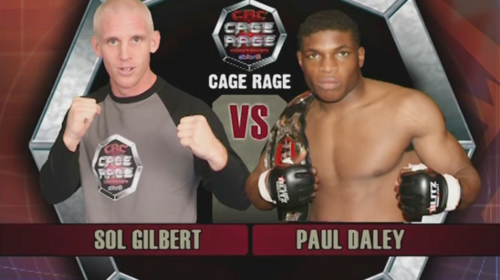 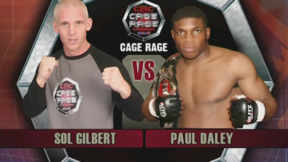 Paul Daley vs Sol Gilbert Cage Rage 18 Sat, Sep 30, 2006 (15:57) Paul Daley vs Sol Gilbert Cage Rage 18 from September 30, 2006 in London, United Kingdom. 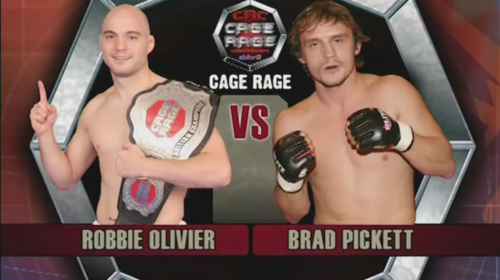 Robbie Olivier vs Brad Pickett Cage Rage 18 Sat, Sep 30, 2006 (22:44) Robbie Olivier vs Brad Pickett Cage Rage 18 from September 30, 2006 in London, United Kingdom. 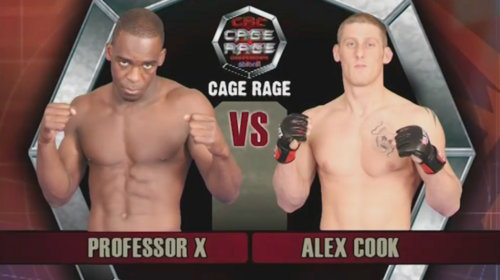 Xavier Foupa-Pokam vs Alex Cook Cage Rage 18 Sat, Sep 30, 2006 (10:54) Xavier Foupa-Pokam vs Alex Cook Cage Rage 18 from September 30, 2006 in London, United Kingdom. 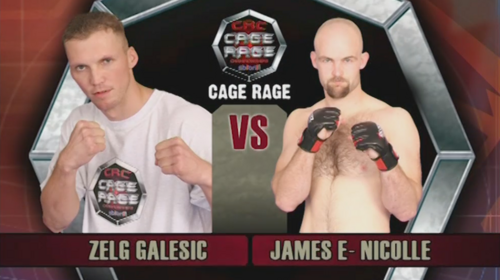 Zelg Galesic vs James Evans-Nicolle Cage Rage 18 Sat, Sep 30, 2006 (7:51) Zelg Galesic vs James Evans-Nicolle Cage Rage 18 from September 30, 2006 in London, United Kingdom.